What a harsh reality this year faced. Following Seinfeld's exit two seasons earlier, powerhouse sitcoms became a thing of the past. For the first time since 1984, a sitcom did not rank in the top 3 positions in the overall Nielsens, ending a 15-year trend dominated by NBC. They still dominated sitcom performance, yet the overall network ratings show how sitcom demand plunged. For the season, ABC narrowly nosed NBC out of 1st place, a position they had not seen in years, ending 14 seasons of the peacock in front. yet they placed 1st with their sitcom stable. 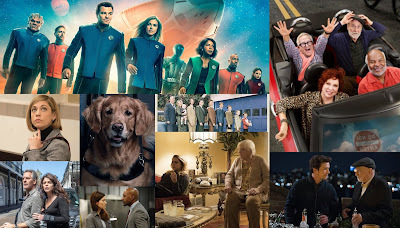 NBC tested its lead-in-dependent shows this season and discarded failures on Thursday. ABC's sitcom performance dropped a massive 14%, landing neck to neck tied with CBS for 2nd place with comedy. The results spelled the tragic end to ABC's 11-year old TGIF franchise, as ABC cancelled all entries. However, WB and UPN were on hand to salvage discarded pieces, many of which enjoyed 2-3 additional seasons. CBS again landed in 3rd in overall sitcom ratings and by one-hundredth in sitcom averages. FOX too experience massive drops, yet showed signs of investment in the early 2000's as Malcolm in the Middle and Titus created great installations with the previous seasons' successes with Family Guy and That 70's show. FOX boasted the highest renewal rate among the six networks with a respectable 9 sitcoms, as all networks downgraded their sitcom orders. UPN treated this season as no laughing matter and slashed their sitcom entries from 13 to 5 sitcoms, and they experienced a 17-percent increase in Nielsen performance. WB experienced massive drops in both sitcom and overall Nielsens, taking 6th place in sitcoms performance behind UPN. So why did sitcoms become weakened this season? Seinfeld's exit left few sensations shaking up the sitcom world, causing several lead-in dependent shows burning off and being cancelled. Networks opted to duplicate their news magazines, because evidently the world was too peaceful and the newscasts had to change that. 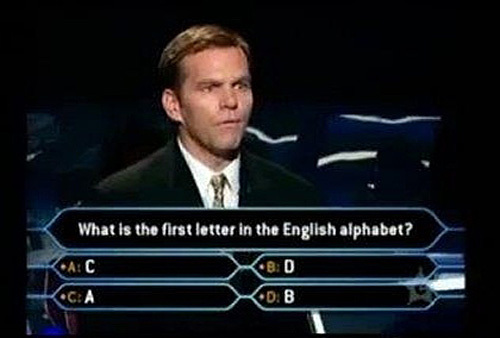 A rash of gameshows such as Who Wants to Be a Millionaire? and reality platforms perked the interests of viewers. They were one-third cheaper to produce, making them marketable to networks. Therefore, this aided what began in 2000 known as "The Scripted Purge." Who needs Seinfeld laughing about nothing when reality TV stars get drunk like rednecks at a keg party laughing about nonsense. The one pro which emerged in the sitcom world during this relevance-fueled era was the rising trend in the absence of canned laughter, predominantly with FOX displaying successful entries with Malcolm in the Middle and its animation block. Times looked bleak for sitcoms, which dropped 19 original showings among the networks inside one season.